We make Tungsten Carbide Shaving Dies which are used to remove surface defects that occur in the drawing process. We manufacture both solid tungsten carbide shaving dies and tungsten carbide inserted shaving dies in a steel casing body. These are available in various sizes, configurations, and a wide array of rake and face angles as per the drawings provided by the client. 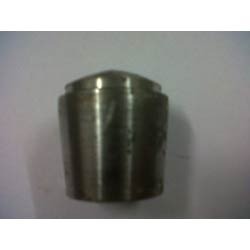 These shaving dies are used mostly after casting operation to remove the impurities from the surface of the wire. Looking for Carbide Shaving Die ?